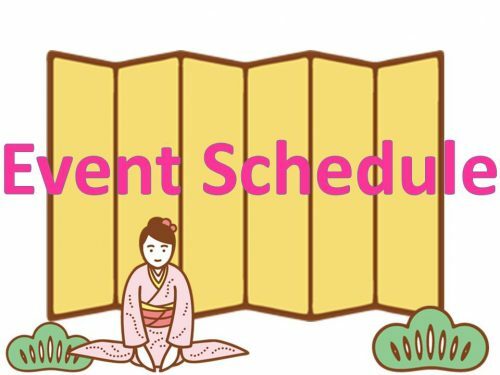 Event Schedule for February 2019　NEED INFORMATION？　COME TO "Tokyo City i"
You can always see something new at Tokyo City i, such as for an idea of traveling, sightseeing, and finding local specialties! Please stop by at the Event space of Tokyo City i whenever you visit Tokyo station and KITTE! "Yamaguchi prefecture and Tsuwano town Life for feel at ease ~2 days for knowing, seeing and fun~"
This event is for "Local Sake and some products fair of Yamaguchi and Tsuwano. Get a prize for joining quiz competition! You can have an experience to make 'Yosomon' which is a traditional charm for good luck. We will hold talk session about charm of life of Yamaguchi. Why don't you come to have some fun with your friends?!
" Flower of Kujyu and Starry sky Night"
"Selected photos and posters of Kujyu flower park and scenery of the around will be displayed. Also you could attend to some seminars for flowers of Kujyu and starry sky. Please find charm of Kujyu town. "Does this event make 'Tonde Saitama' seven times more fun!? Special Exhibition by Film commission around Kanto District"
This is an event for introduction about a movie 'Tonde Saitama' released in February 22nd collaborated with the film commission. Some costumes and film props are displayed, and you could enjoy a talk show or short films of the movie. You could have an experience of bonito pole-and-line Fishing, displayed fishing poles, taking a commercial fishing ship through VR and joining quiz about fish. "JAPAN Pride ~by mono magazine collaborated with Chamber of Commerce and Industry"
At this event, superb products which are selected by specialists for designer, cook, photographer and publisher will be sold. You only have 3 days, don't miss to get some masterpieces. Hananioi is consist of Hatano city, Nakai machi, Ninomiya machi and Oiso machi. They will sell some rocal products and introduce charm of their areas. At this event, you could see some traditional products from Saitama. You also have a chance to join for workshop. "KITTE GRANCHE Rakugo Kai (Japanese Verbal entertainment)"
The audience who watches the whole show will get a small gift. Priority seats for the first 10 arrivals will be available with a receipt which you spent 500 yen or more at KITTE GRANCHE on the same day. "The Nations of Shima no Takara"
The Nations are consists of Sado(Niigata), Amakusa(Kumamoto), Iki(Nagasaki), Goto(Nagasaki) and Oki(Shimane). This is an event for knowing about these famous islands in Japan. They will sell some local foods and Sake, also you can get a prize for joining quiz competition! February 26th is a day for grapefruits from Florida! They will sell juicy grapefruits from Florida. You can also try some samples, so please visit us.